Waterproof plastic pants are for those who want an extra level of protection. 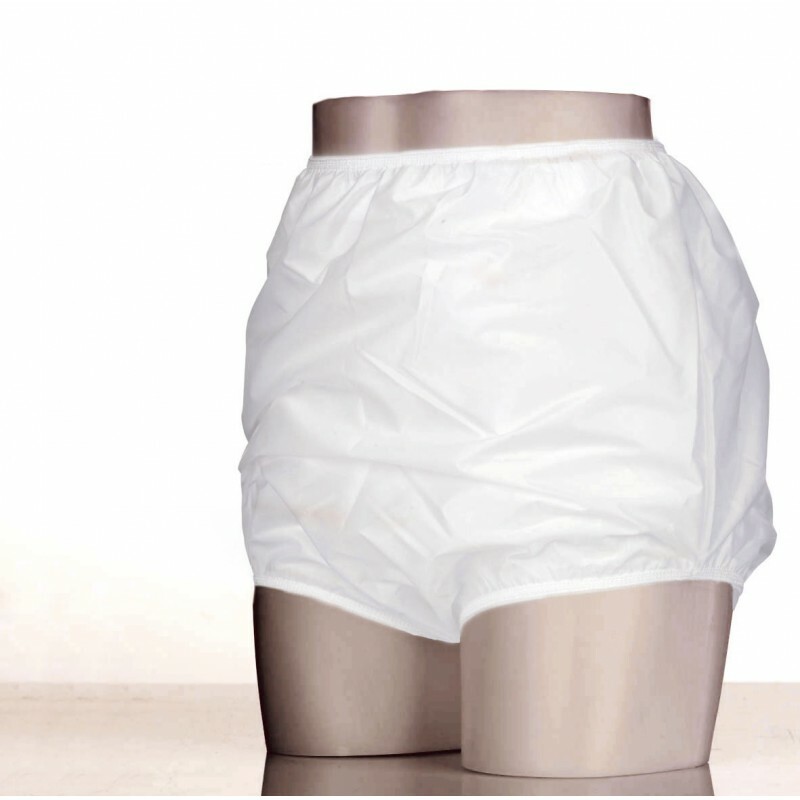 These pants do not have any absorbent material, they are simply plastic pants to be worn over normal underwear, nappies or pull-up pants to prevent leaks. Being lightweight and made from almost silent thin nylon material, you can wear these out and about and nobody will know. The fully waterproof material and soft, tight fitting leg cuffs ensure that leaks are kept to the minimum. If you want the very best protection, these pants won't let you down. Manufactured by Capatex, the Kanga® Waterproof Brief comes from an established and well regarded name in continence care that is manufactuered in the UK. Suitable for both urinary and faecal incontinence. Available in 5 sizes from Small to Extra Extra Large. These pants are washable and can be tumble dried on a low heat. Please select your size and quantity from the boxes above.